Very original and decorative this large wood wall clock has a unique design style. Its fine grey wooden mesh shows the back of the face in mirror. Its large dimension makes it a deco object in its own right for your design decoration. 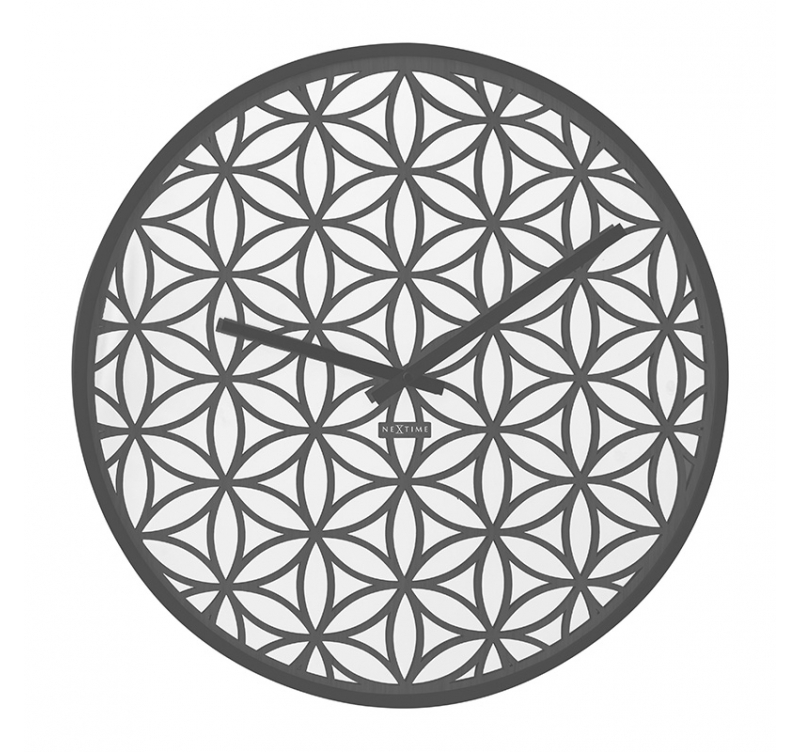 The dimensions of this wall clock are 50 cm in diameter. 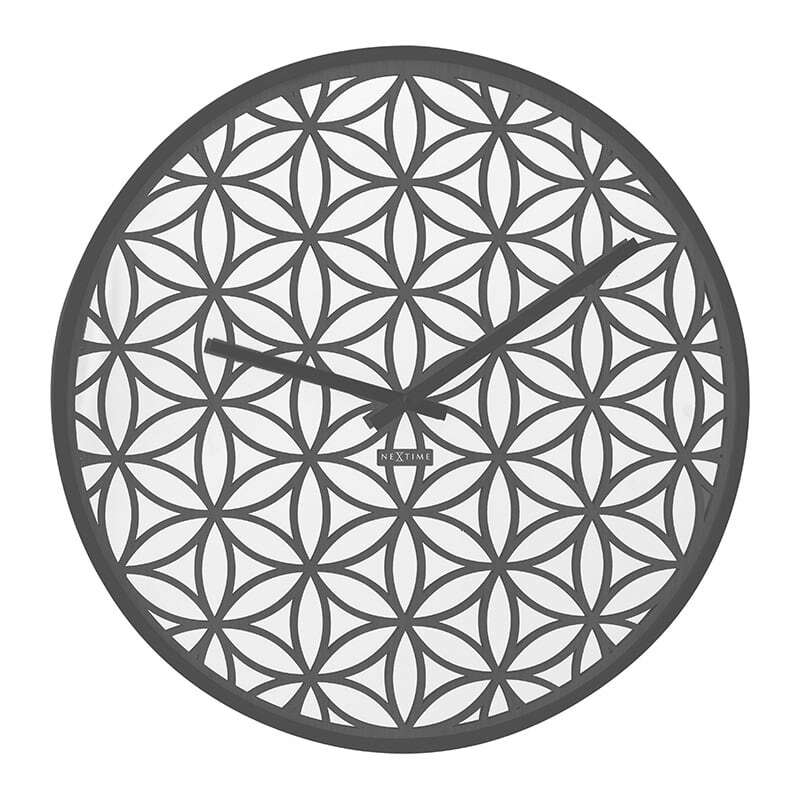 Free 48/72 h delivery in metropolitan France and Belgium for your elegant design clock. Both elegant and feminine, this beautiful design clock will nicely complement the relooking of your home. The clear style of its mirror face covered with a fine charcoal grey mesh will certainly catch the eye of your guests. The large wall clock will easily decorate one of your walls, be it in the lounge, an office or an entrance hall. You can also use it a s a kitchen clock to bring out your design furniture. The hands are grey to match the face and the stylised pattern of the finely worked wood. This vintage wall clock can also be found with a natural wood mesh and white hands and a white line around the face .